To preserve land important for maintaining the natural ecology and hydrology of Door County, Wisconsin through land acquisition, protection, and restoration. Intact habitat and open space areas in Door County are threatened by increasing development. The Nature Conservancy and the Door County Land Trust are two entities that work together in the Door Peninsula to preserve habitat. For this project, the two groups identified key habitat areas in Door County that needed protection. This project involved protection of important wetland and associated upland habitats, including some agricultural land with the potential to be restored to native habitat. For example, The Nature Conservancy acquired a 12-acre parcel and a 69- acre parcel as part of their Mink River Estuary preserve, which protects a critical migration site for waterfowl and other water birds. This preserve is open to the public for hiking, canoeing, bird-watching, and cross-country skiing. 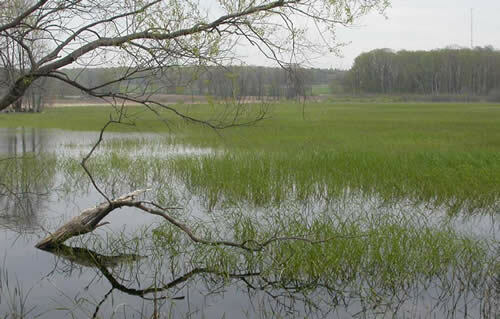 The Nature Conservancy also acquired a 40-acre parcel as part of their North Bay-Mud Lake Preserve which protects high-quality wetlands and streams important for spawning fish such as native sucker and trout, as well as northern pike (Esox lucius), yellow perch (Perca flavescens), smallmouth bass (Micropterus dolomieu), and Chinook salmon (Oncorhynchus tshawytscha). Also as part of this project, the Door County Land Trust acquired a 76-acre parcel and a 155-acre parcel as part of their Bay Shore Blufflands project area. These parcels help protect wetlands that provide outstanding waterfowl breeding areas and help protect the quality of surface water runoff into Green Bay. Passive recreation is allowed on these parcels; access for hunting is governed by the policies of the hunting access program of the Door County Land Trust. 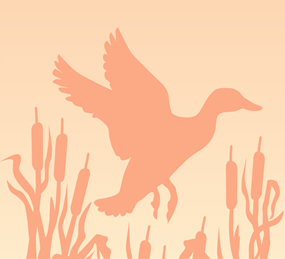 Areas of natural habitat including vernal pools, wetland basins, lowland forest, and upland mixed conifer hardwood forest were preserved, along with the associated wildlife species, including waterfowl, amphibians, migratory birds, mammals, and insects. 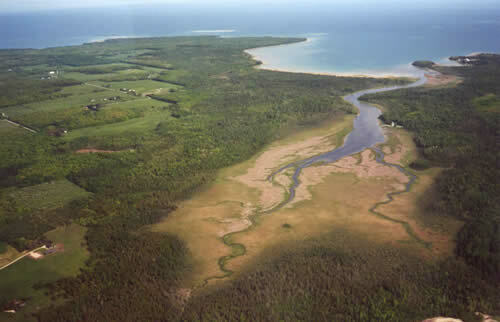 Significant portions of the acquired lands are intact natural ecosystems with little disturbance, providing important habitat for fish and wildlife species injured by PCBs. The acquired lands were dedicated as a Wisconsin State Natural Area because they possess “outstanding examples of the native plant and animal communities found before European settlement.” Acquired land previously used for agriculture will be added to the State Natural Areas after they are restored to native habitat. As a nature preserve managed by The Nature Conservancy, recreational activities that are consistent with management goals are allowed. A total of 460 acres were preserved, including 177 acres of wetland habitat and 283 acres of upland forest habitat. NRDA settlement funds account for preservation of 293 acres (64% of the total), other funds account for preservation of 167 acres. The land acquisition was completed in 2006, restoration and management activities are ongoing. The project received $1,787,498 in NRDA settlement funding and attracted matching funds and/or in-kind services for a total budget of $2,811,005. This project successfully acquired land important for maintaining habitat connectivity and sustaining healthy ecosystems in Door County. It addresses the need for protecting lands in Door County that are threatened by development. © 2019 Fox River NRDA Website Design, Development & Hosting by Wisconsin Web Writer LLC.